We wanted to share a preview of Doorstop’s new film La Sirène! If you would like to see more, please donate here! 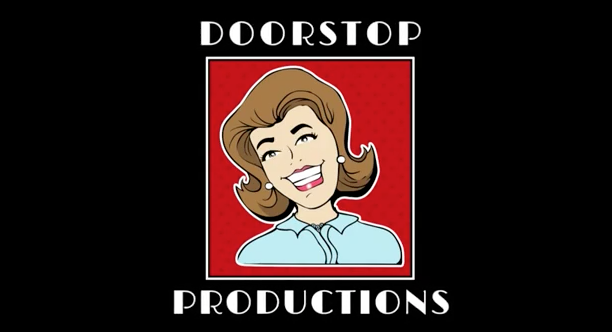 Support Boston-based burlesque star Lolli Hoops’ short film collaboration with feminist production company Doorstop Productions. If you love mermaids, you will want to see this! And thank you to John Doherty, Leslie Rosenberg, Robin Maltêteour, and Paul Lopes for being our first donors! The show Stephanie produces America’s Test Kitchen won a Best Food Program: Television at the 2012 Taste Awards! 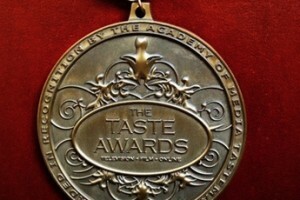 America’s Test Kitchen Radio also won a Best Food or Drink Radio Broadcast Taste Award. Take It Outside, our music video for The Andersons, won a Golden Glovie Award! We won a Rocks The Box Award, given to films that received a perfect score from 1 or more judges. 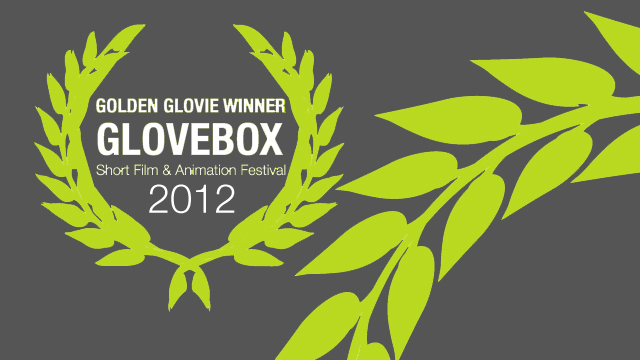 We are so honored to have been a part of the Glovebox Short Film and Animation Festival again! 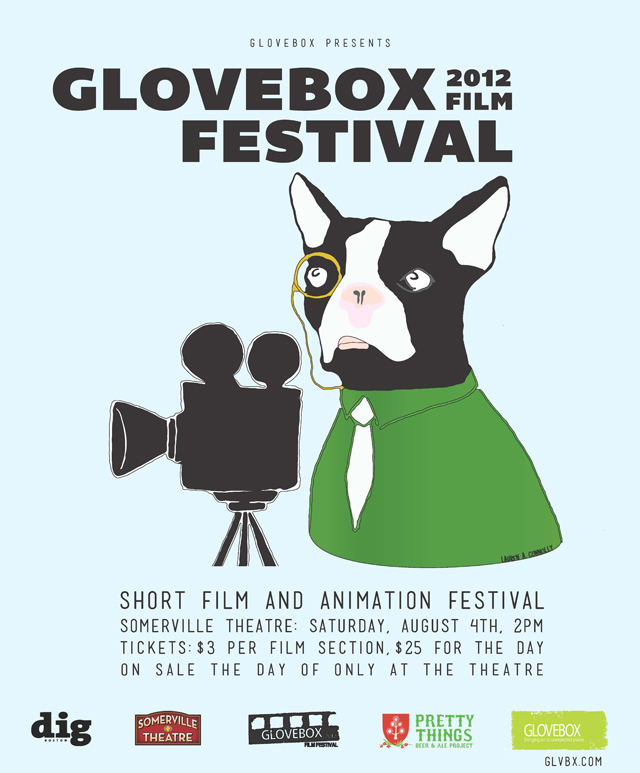 Just got word that our music videos Still Right Here and Take It Outside have been accepted into the 2012 Glovebox Short Film & Animation Festival, taking place on August 4th at the Somerville Theatre in Davis Square. More info below. 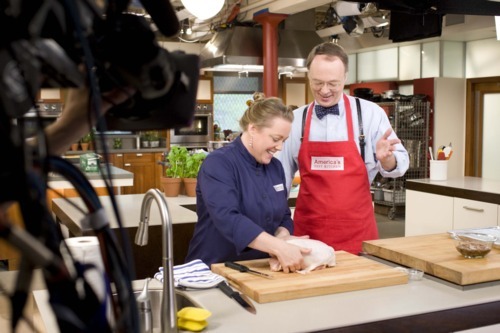 We’re gearing up for Season 13 of America’s Test Kitchen, which starts filming on Monday. The number 13 is lucky….right?! I realized the other day that this season marks my third time producing the show, and my FIFTH time on the crew. Wow, how time flies! Looking forward to another great shoot! Congrats Melissa on your Right Out TV Music Video Awards! We couldn’t have asked for a more talented artist to work with! Still Right Here Wins Big at Right Out TV Music Video Awards! 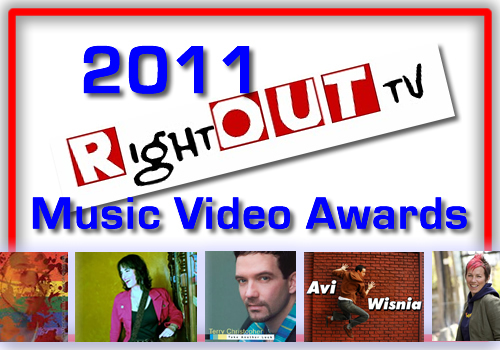 The winners of the Right Out TV 2011 Music Video Awards were announced today, and we are happy to report that Still Right Here, our video for Melissa Ferrick, won both Best Pop/Rock Video (Pro) and Fan Fave. Thank you so much for all who voted! Watch our Interview with Secret Lives of Boston Creatives!!! Stender SecretLife from Newfangled Studios on Vimeo. This blog is dedicated the stories of people in the Boston creative community, and what they do OUTSIDE of work. Hence the name, Secret Lives of Boston Creatives. I met Stephanie Stender during the Glovebox Short Film and Animation Festival in June. The Glovebox team was in contact with Stephanie months prior to our meeting and her music video/animation “Just Because” was passed around and quickly became a favorite. 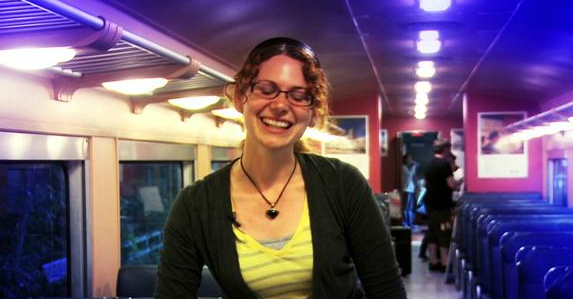 Stephanie directed and produced the One Smith Band’s music video, “Just Because” which won several Glovebox Golden Glovie Awards at the Glovebox film festival. When Stephanie contacted me about the film’s nomination at another festival, I was more than happy to spread the word. See, I believe as artists, we are all in this together. The more people we can touch with art, the better. The more people that I see doing their art, the happier I am and the better the world and immediate community is for it. Here at Glovebox, we want to spread the word about other festivals and non-profits so artists like Stephanie, have more avenues to spread their work, touching and inspiring more people. Stephanie and Dan Flynn worked on “Just Because,” spreading music and art. Their music video “Just Because” is nominated for a World Music and Independent Film Festival (WMIFF) People’s Choice Awards. The WMIFF is a unique festival that blends music, film and fine art. It’s a great organization that helps to promote all submissions, which we here at Glovebox fully support. Selected films will be featured at the US Navy Memorial Burke Theater the week of August 15th and our red carpet awarding will be held at the Capital Hilton Hotel in Washington, DC on August 20, 2011. Help get “Just Because” there by voting here. I think having such a talented group of people as friends is what keeps me motivated. When you see your peers creating beautiful art – no matter what their art form: painting, music, dance – it really motivates you to express your own voice with your artwork. How did you both get started in art? Stephanie Stender: My background is in film production. I studied film and photography at Hollins University in Roanoke, Virginia and then a couple years later, received my masters in film production with a focus on directing at Boston University. My films always had a whimsical sensibility that really went hand in hand with animation, but lacking any drawing skills myself, I only dabbled in stop motion animation. That is until I met the talented animator Dan Flynn a few years later when I started as an editor at a local animation studio. We started to collaborate soon after. Dan Flynn: I got into UMass Dartmouth as a computer science major. I realized before my first semester started that it wasn’t really what I wanted to do, so I went “undeclared.” Through my sister (who went to the same school) I got a job with the art history and design office, and learned about the “Electronic Imaging” (EI) major there, which was a sort of “jack-of-all-trades” major that covered digital media like Photoshop, Illustrator, Lightwave 3D and Flash. I switched my major to EI shortly afterwards, and throughout my time there focused on 3D animation. I did some 2D animating in Flash, but it wasn’t till I graduated college and got a job working at Soup2Nuts in Watertown as a Flash animator that I really took a liking to it, and I feel I became a stronger animator there. With such strong artistic and technical backgrounds, how did you find yourselves doing music videos? SS: I’ve always been obsessed with music videos. I grew up watching MTV. While other kids were watching Mr. Rogers, I was watching Land of Confusion, Take on Me, and the undeniable classic Thriller. As a child, I was also in love with silent films. We would go to the local church to see old silent films played with live organ music, and I remember it being such a treat. So, I think it’s no surprise I fell in love with music videos. I saw them as our generation’s silent films, but played with awesome 80s music. What is your process in creating a character that is all your own and helping the musician realize their vision for their song? SS: This might sound odd, but I cannot listen to music without envisioning the film that goes with it. The notes create a feeling in me, making its own music video in my mind’s eye…Luckily, so far, my vision has always coincided with the musician’s vision for the song. DF: Listening to the song over, and over, and over. Figuring out how to tell a story and how to make the music relevant is like solving a puzzle, so there is a lot of thought involved. Eventually things just start to click, and that’s when you know it’s really working. I love the different methods of reaching a visual story – where do you find inspiration for your work? 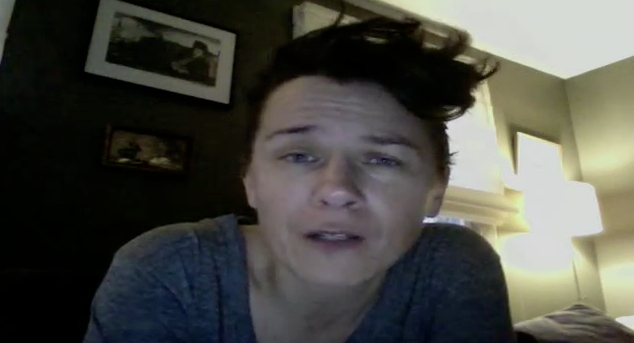 SS: I grew up in a household of storytellers. My grandparents would sit around the kitchen table, telling stories and having a good laugh. The need to tell a story seeped into my bones. One of the greatest privileges of being a filmmaker is the ability to transport someone to a different world, to entertain her, even if it is just for a few minutes. And I think my family really inspired me to do that through their love of a great narrative. And I am probably going to embarrass Dan by saying this, since he is one of the most humble guys I know, but he also really inspires me. I am always blown away by his talent. He can animate smoke, fire….the list goes on. But what I love most about Dan is his voracious need to learn more. He lives and breathes animation, and his enthusiasm for his art form really inspires you to get moving on your own! DF: Like anyone, I’m inspired by those who have gone above and beyond. 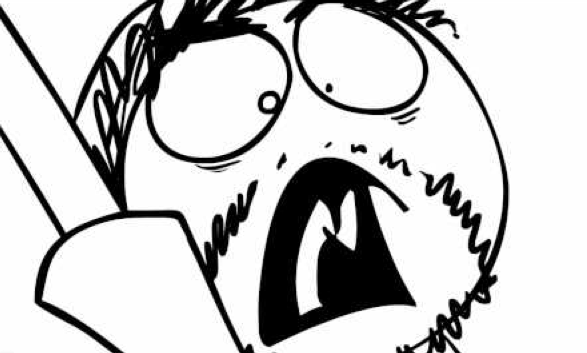 I’m inspired by musicians, animators, actors… I aspire to be as talented as they are. SS: I think having such a talented group of people as friends is what keeps me motivated. When you see your peers creating beautiful art – no matter what their art form: painting, music, dance – it really motivates you to express your own voice with your artwork. Of course, watching a Michel Gondry music video motivates me, but in a different way. It feels a little removed. You start to think to yourself, well, he has such and such budget, or he has….you start to belittle your own abilities. But seeing your peers creating art, it puts faith back in your heart and gets you revved up. DF: The thought of creating something that people will enjoy, and something that I can be proud of is what keeps me going. You can follow Dan Flynn’s work on his blog here.